The Northern Ireland Squirrel Forum (NISF) was established to bring together statutory and non-statutory organisations as well as representatives of country parks, private landowners and local volunteer organisations dedicated to protecting the red squirrel in Northern Ireland. 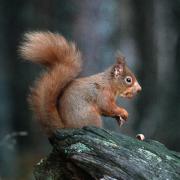 The NISF provides an opportunity for the members of the group to feedback details of news, exchange ideas, new research findings, best practice on how to help conserve red and control grey squirrels. If you spot a red squirrel which looks ill, especially if it shows signs of Squirrel pox (see the NISF website for symptoms) please email Squirrels@daera-ni.gov.uk . We would appreciate if you can forward any photos of the sick animals to this address also, thank you. 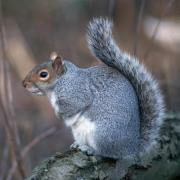 More information can be found on the NISF web page including links to local Squirrel Groups in your area. Please select the species you want to submit a record for. Provide an indication of the abundance. If you have had an expert confirm the identification of a record please add their name in the 'Determiner' field. This will help when the record is being verified. We will only use your email address if we need to contact you about your record. If you are logged into the system, please do not lock these values. The information will be auto-filled from your account profile. Please provide the spatial reference and site name for the record. For example the nearest town, village, park, nature reserve etc. Please do not enter a postal address as the information you provide will be visible to others. use the + sign on the right hand side of the map to change the base mapping used from maps to satellite images or OpenStreetMap maps. To create an accurate and useful record, use your mouse to drag the area of interest to the centre of the map window and use the zoombar on the left hand side to zoom in tight to the area where you made the sighting. When you have zoomed in, click on the location - this will autofill the Spatial Reference box.